Topland has a strong track record of investing in the UK hotel sector. Currently, Topland own and manage a varied portfolio of eight hotels with 1,942 bedrooms. Topland is looking to expand its hotel portfolio and will consider individual acquisitions and portfolios or corporate acquisitions across the UK and Europe. In addition to this Topland is looking for strategic land hotel sites for development. Topland has earned a strong reputation for financing and joint ventures within the hotel sector. In Q1 2019 Topland sold the Hallmark Hotel Portfolio, 26 hotels located throughout the UK from Aberdeen to Bournemouth, formed through the acquisition of Menzies, Hallmark and Feathers portfolios. This was textbook Topland strategy, acquiring an eclectic mix of hotels across the UK, adding value to the business over five years with strong in-house asset management, developing the Hallmark brand and creating the management platform. This strong foundation created continuous approaches from prospective purchasers and a sale concluded in Q1 2019. 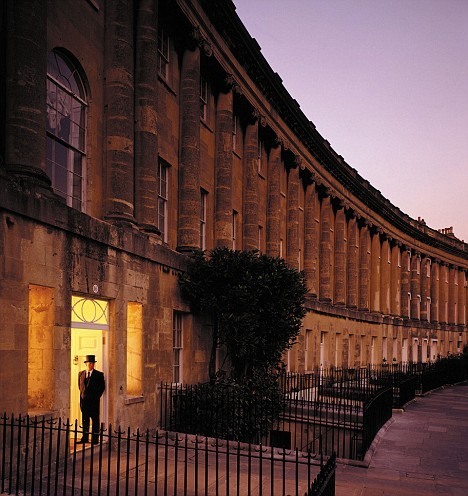 In Spring 2012, Topland acquired the Royal Crescent Hotel. This significant and renowned luxury hotel is situated in Bath and occupies the two central buildings of the internationally celebrated Royal Crescent and consists of 45 rooms and suites. The Grade I listed buildings were designed by famous Georgian architect John Wood, and were first occupied in 1775. When the property was bought it was in need of a major refurbishment and Topland has undertaken a multi-million pound extensive renovation of the entire hotel to further enhance the five star luxury experience for guests.